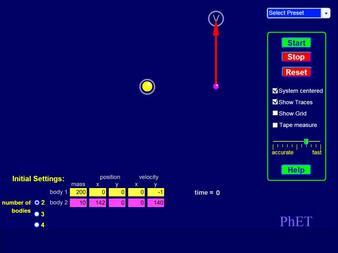 Follow the link below to use the software at Solar System Scopes home page. The Sun is estimated to have formed 5 billion years ago, and Earth 4.6 billion years ago. The time scale of the events is relativity well understood, but the scale of the planets sizes compared to their distances within the Solar System, is one of the most misrepresented features of our planetary system. 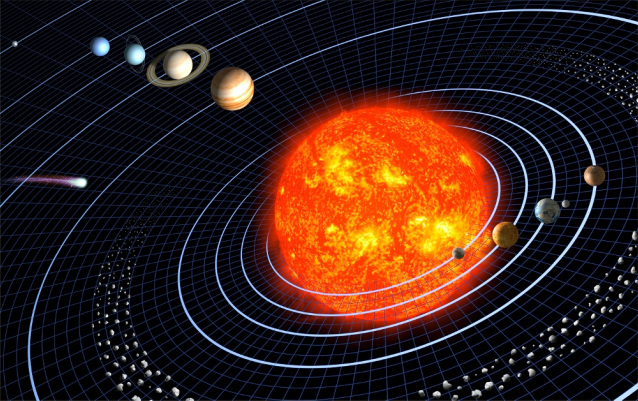 Watch the video below to help you better understand the relative size of our Solar System. 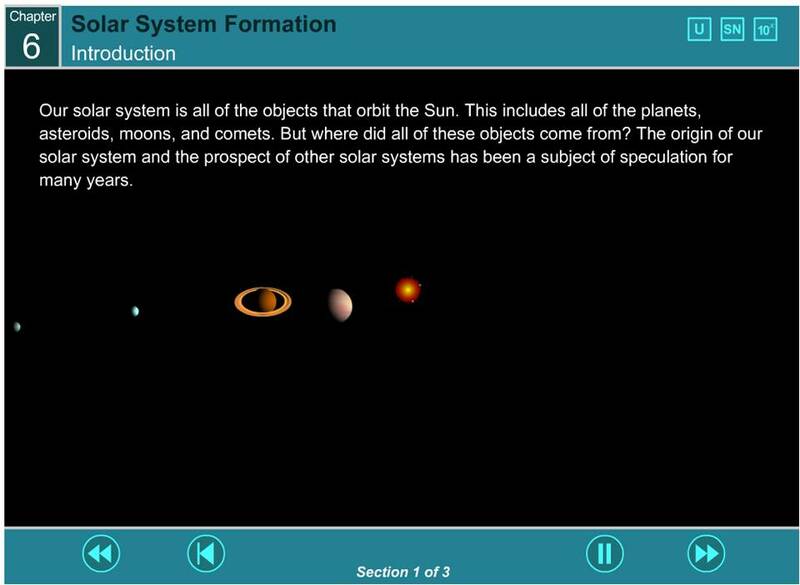 The virtual textbook file to the right will walk you through the step-by-step events that are believed to have created the Sun and Solar System.